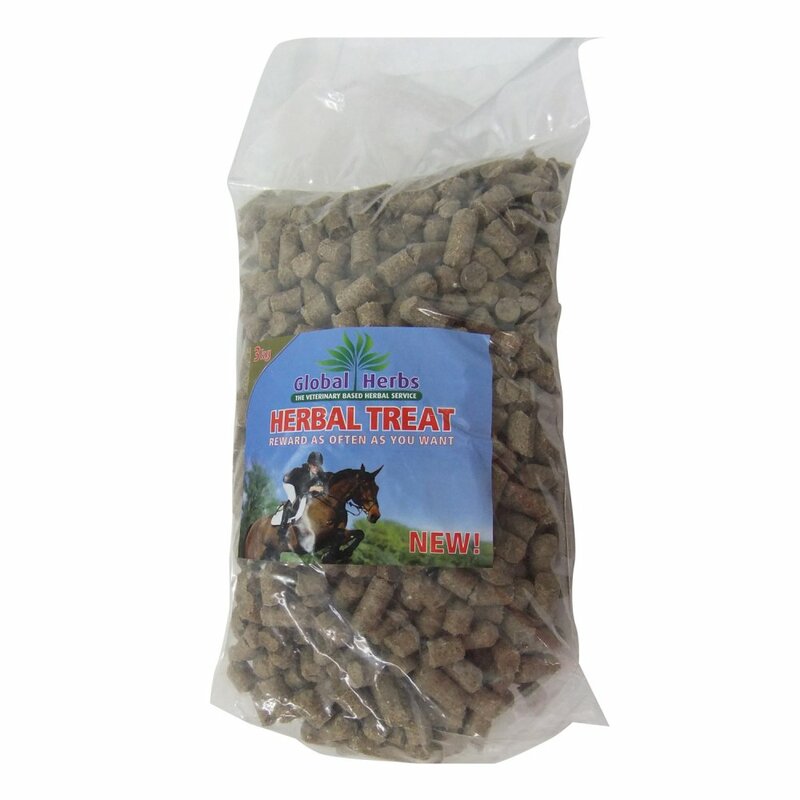 Global Herbs Herbal Treats are a healthy way to treat your horse or pony and ensures not only are they receiving a tasty reward but something good for them too. These Global Herbs treats come in a large 3kg bag so there's plenty of yummy herbal treats for your money. These Global Herb Treats contain Oatfeed, Wheatfeed, Grass Meal, Barley, Soya Hulls, Calcium Propionate, Dried Mint Herbs and Molasses.